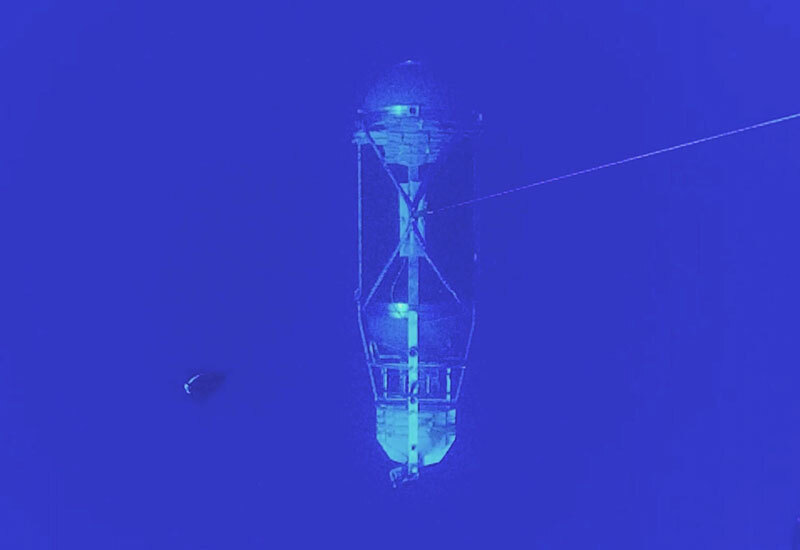 Titan commences its descent to 4000m. 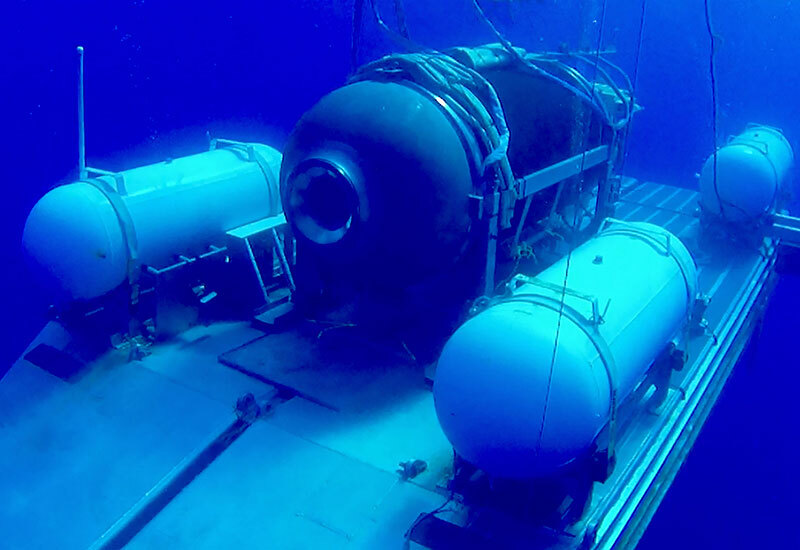 Titan prior to commence diving. 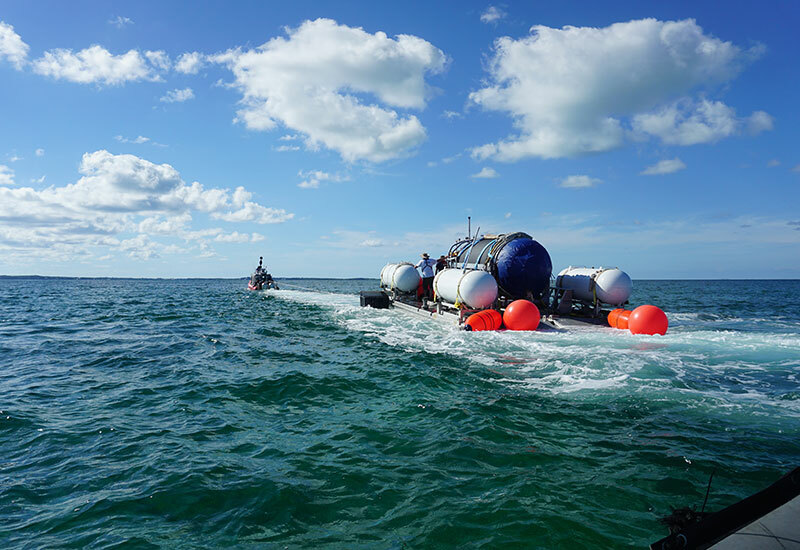 Titan departs the launch platform. 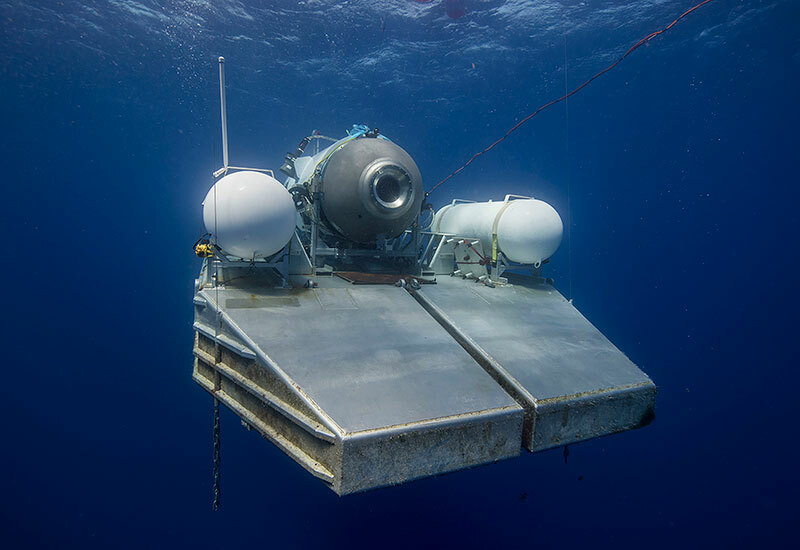 Titan on platform awaiting signal to commence dive. 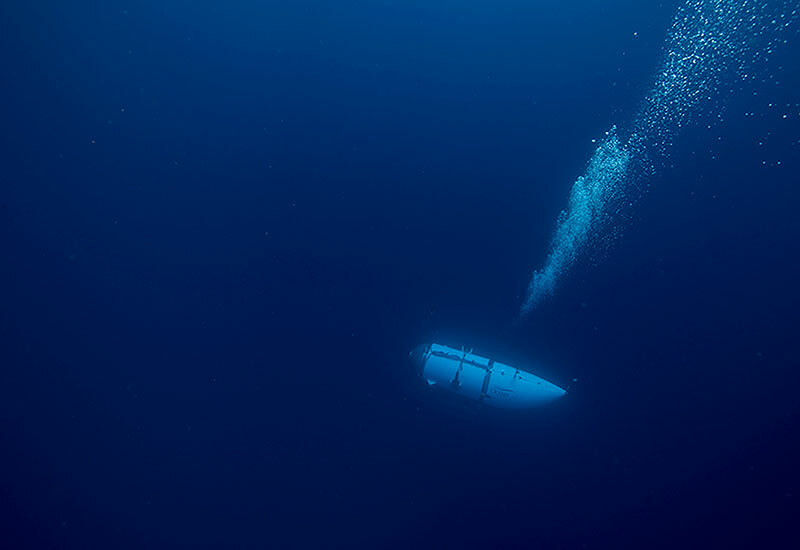 Titan near the surface prior to descending. 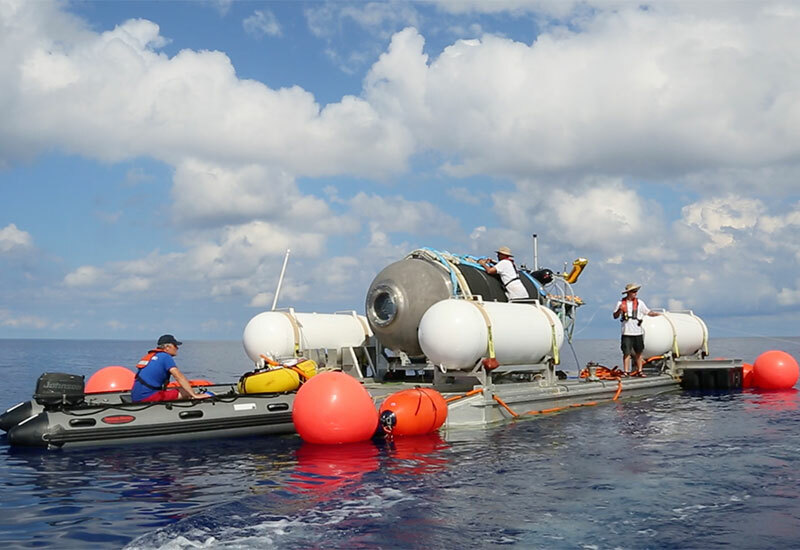 Titan and crew undergoing through rough sea state enroute to the dive location. 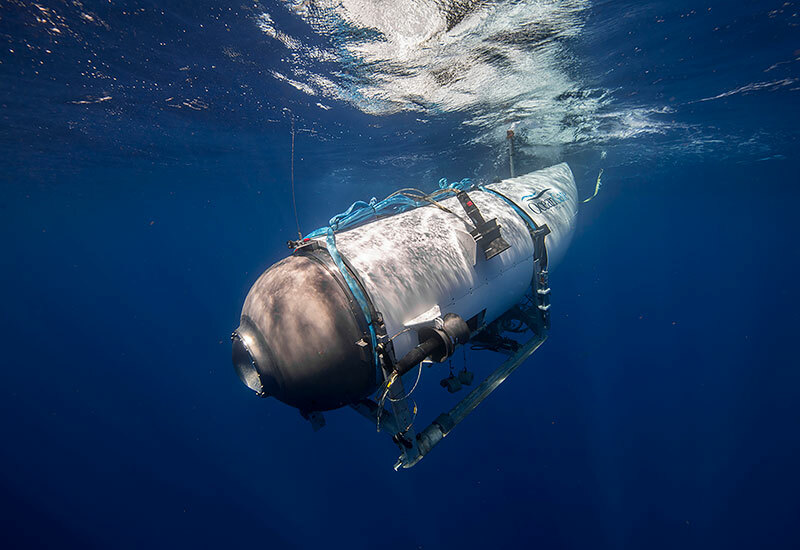 Titan suspended on high-strength monofilament line to start the test. 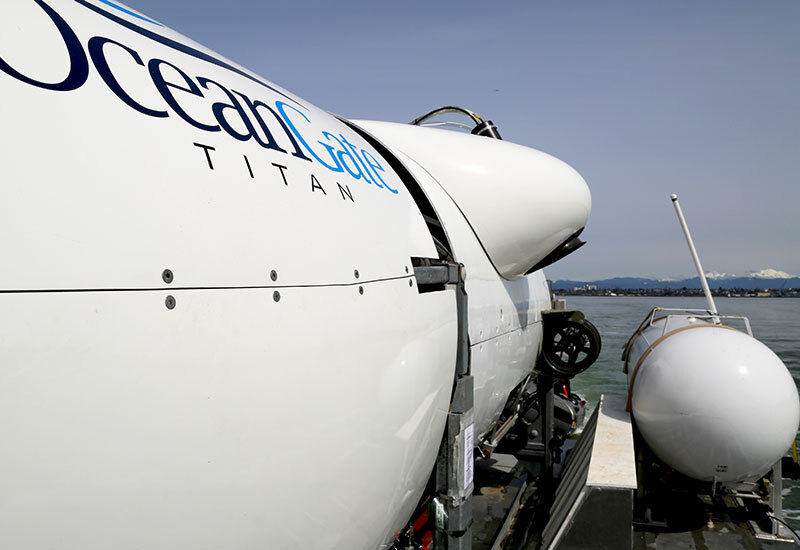 Titan on platform before launch during the cable test phase. 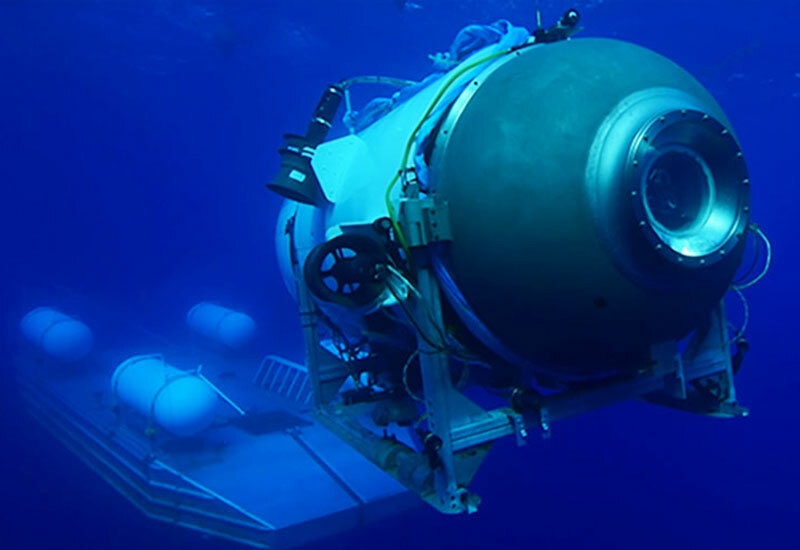 Titan, a Cyclops-Class submersible capable of reaching depths of up to 4,000 meters (13,124 feet). 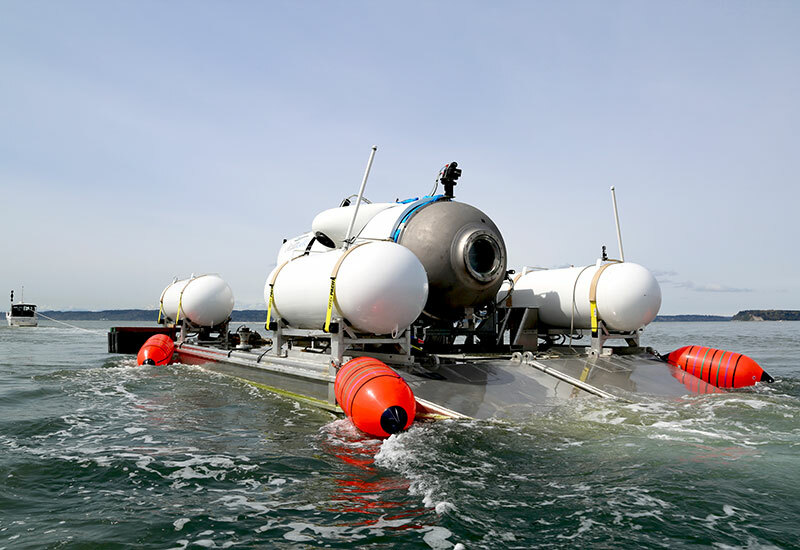 Titan under tow to a dive location in Everett, WA. 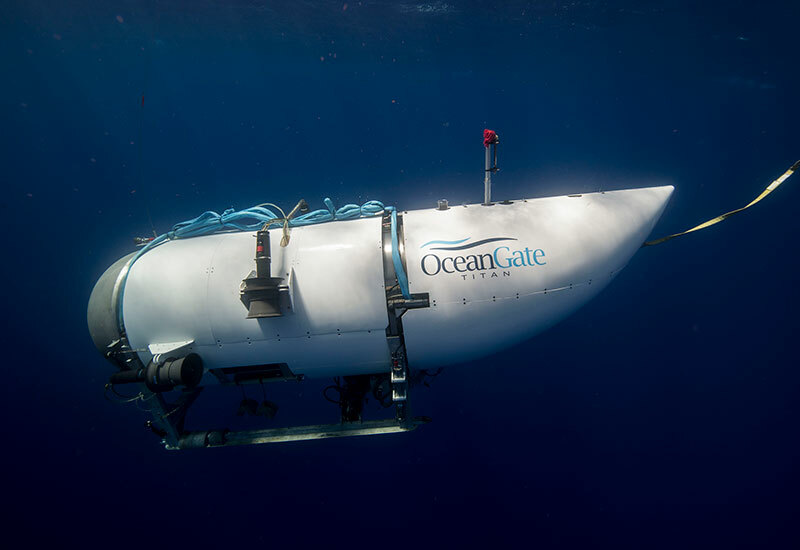 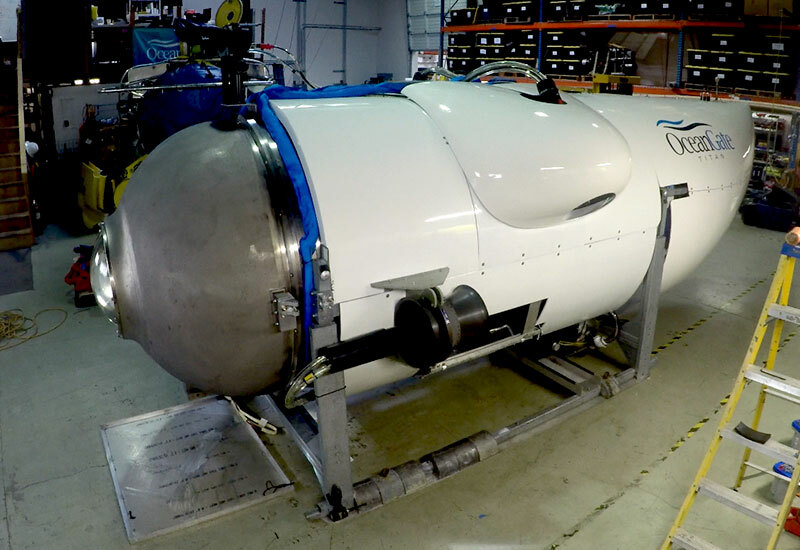 OceanGate's Cyclops 1 (Left) and Titan (Right) submersibles. 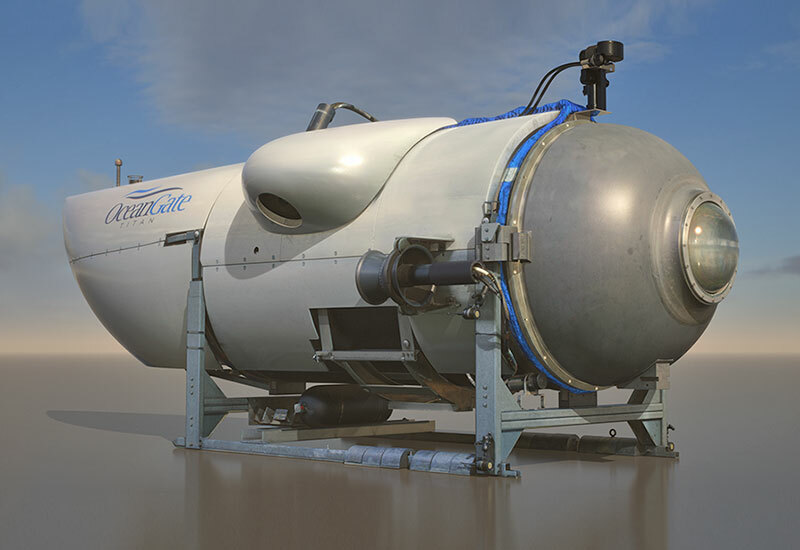 Titan has two horizontal thrusters and two vertical thrusters. 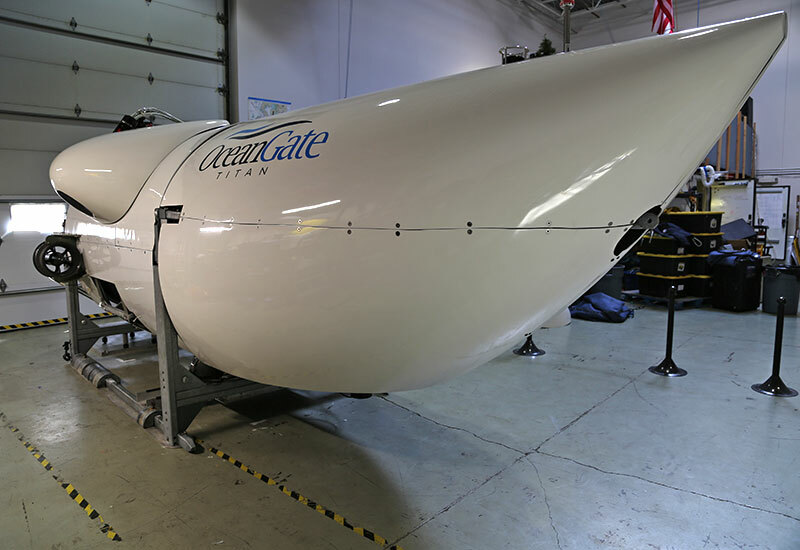 Titan aboard launch platform before the test. 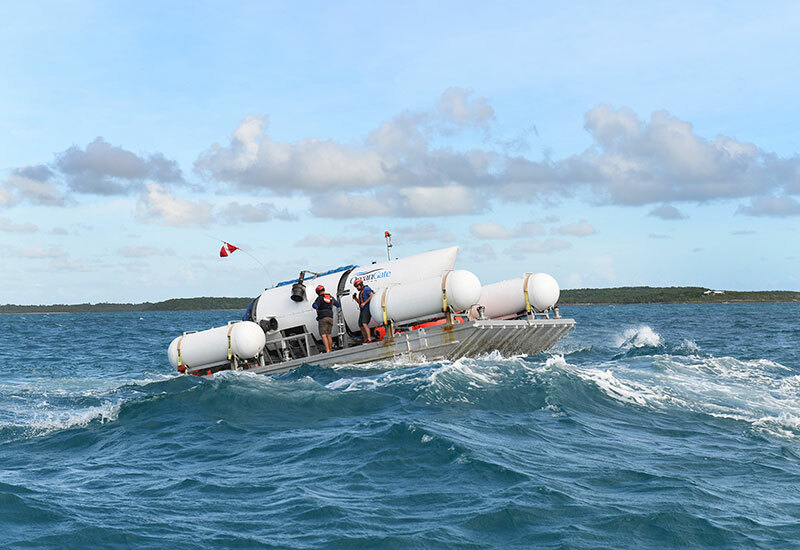 Titan under tow to the dive location in the Bahamas. 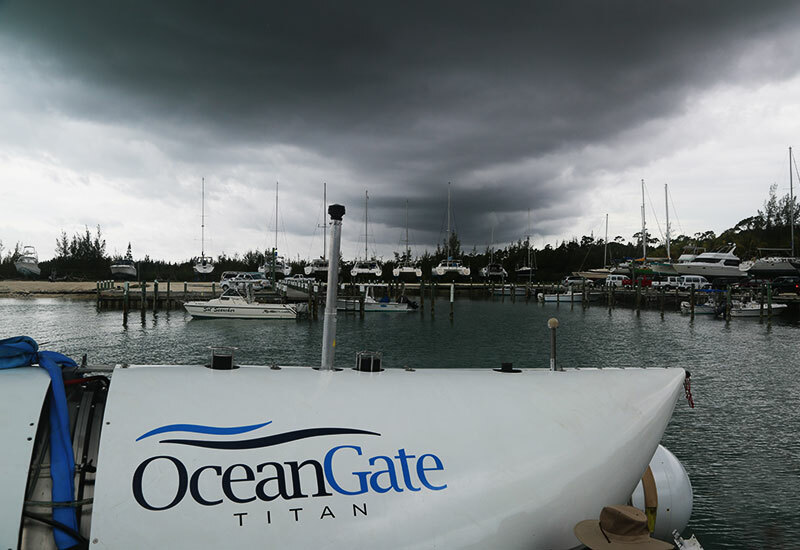 A storm rolling over Titan in the Bahamas. 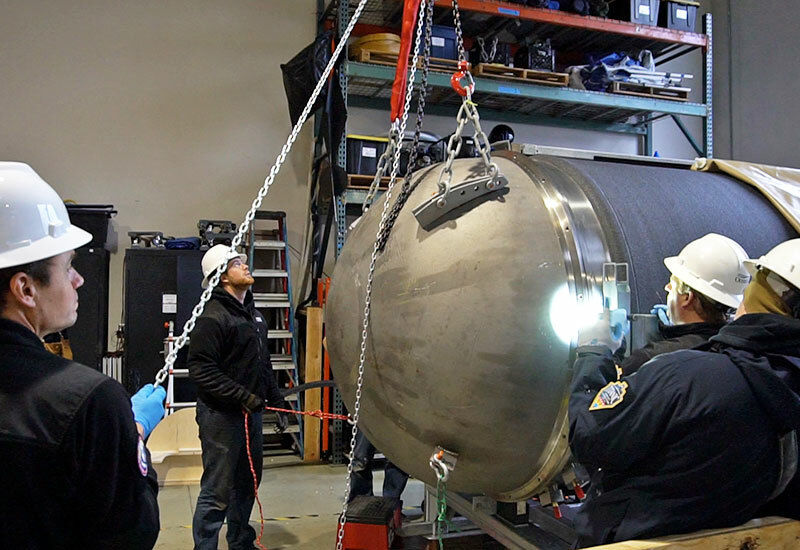 Crew transferring Titan on to the platform. 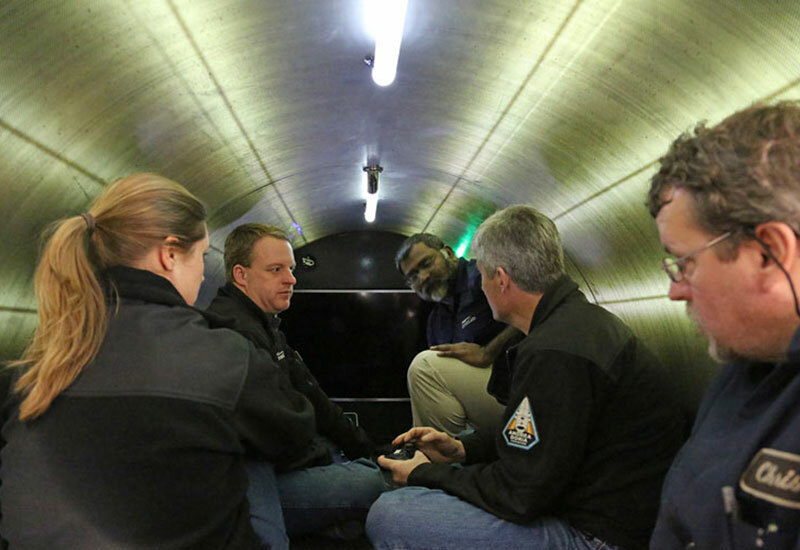 Titan has a capacity of 5 persons (1 pilot + 4 crew). 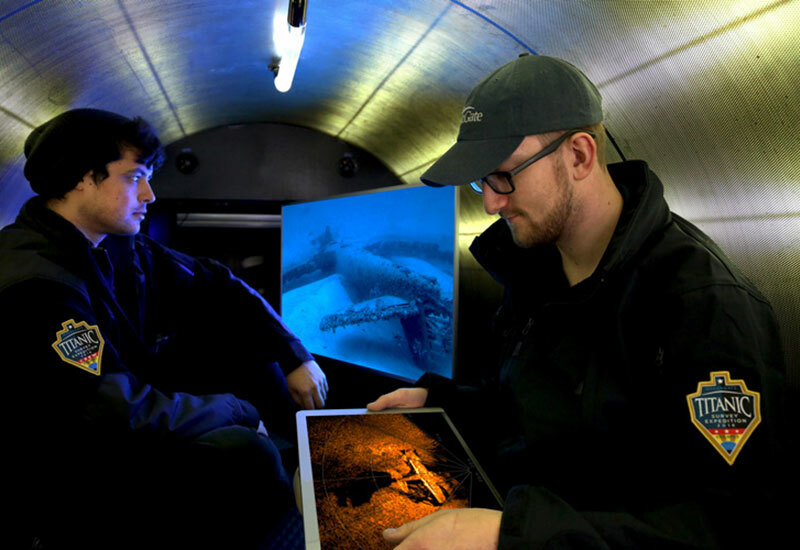 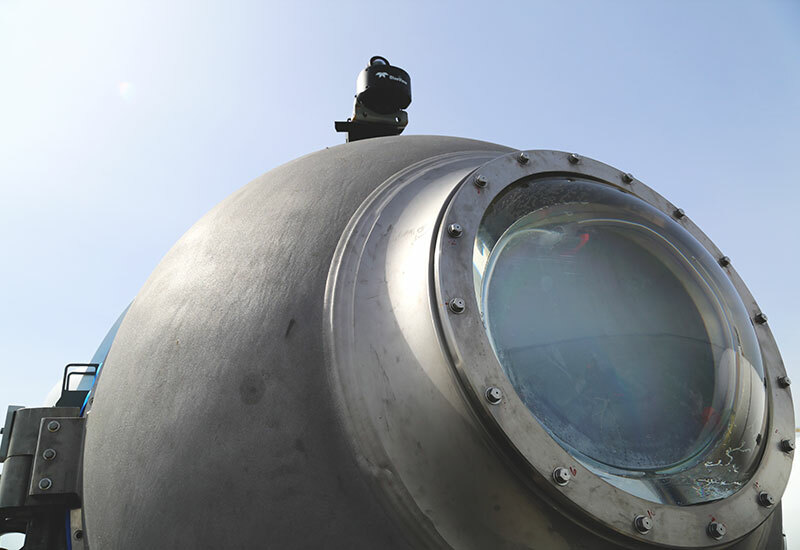 Titan has the largest viewport of any deep diving submersible: 53 cm (21 in) diameter. 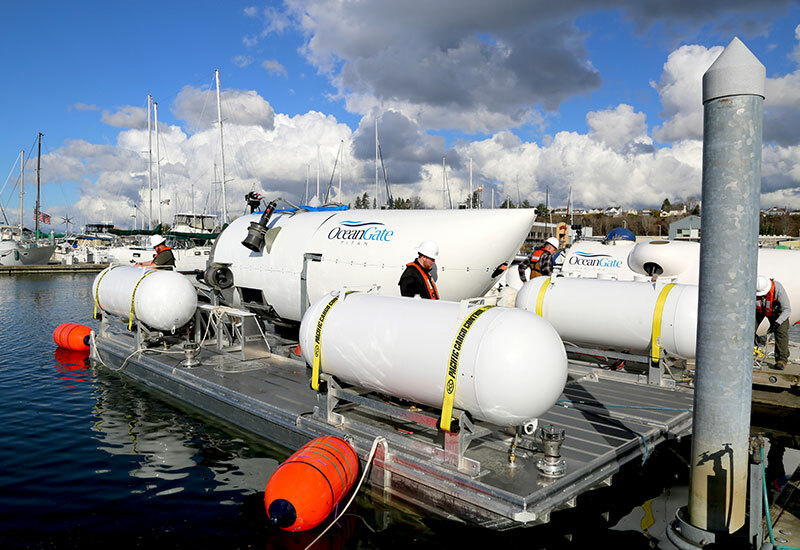 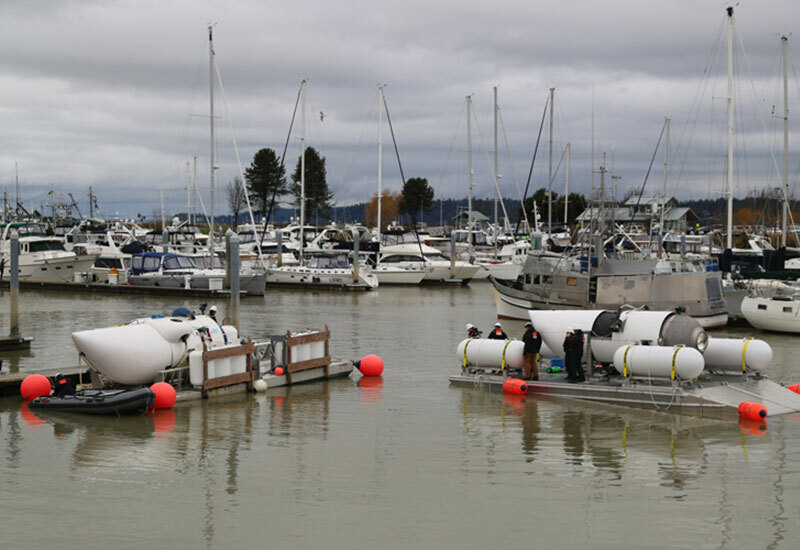 OceanGate crew prepares Titan for a dive test in Everett Marina. 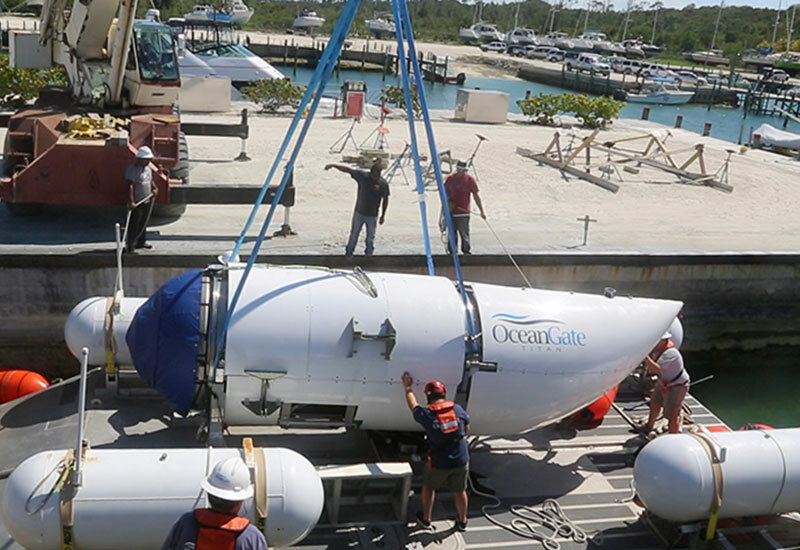 OceanGate crew installs Titan's aft dome. 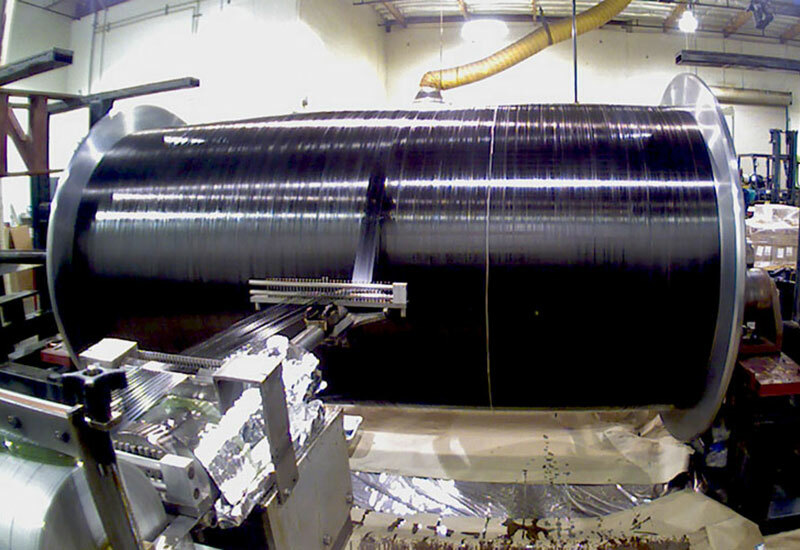 Titan's carbon fiber hull: 12.7 cm (5 in) thick.